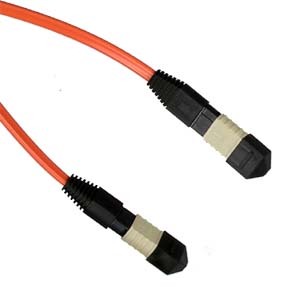 MTP stands for "Multifiber Termination Push-on" connector and it is designed by USConec and built around the MT ferrule. Each MTP contains 12 fibers or 6 duplex channels in a connector smaller than most duplex connections in use today. It is designed as a high-performance version of the MPO and will interconnect with MPO connectors.